Wemyss Bay was little more than a handful of houses before the 18th Century but from the 19th Century onwards it has burgeoned due to the rail connection to Glasgow which happened in 1865, and the regular steamer service to Rothesay that started a few years later. The name Wemyss is derived from the Scottish Gaelic uaimh which means cave. Although the Gaelic caption on the station platform translates as “Bay of Caves” there is no obvious connection here so visitors going in search of caves may be disappointed! However there is a Wemyss in Fife, on the Firth of Forth where the Clan Wemyss made their home, which does boast fine caves. Today the main township of Wemyss Bay lies to the west of the railway line whilst to the east the old Kelly Estate is now divided into several farms and a holiday park. Late in the 15th century, James III granted the lands of Kelly to the Bannatyne family, who went on to hold the land for almost 300 years. They built the original Kelly Castle next to Kelly Burn on the site where the caravan park now stands. This castle was destroyed by fire in 1740 and was never rebuilt. The family subsequently moved to the island of Bute, building Kames Castle and founding Port Bannatyne in 1801. A large white mansion house was built by Mr. John Wallace, a West Indian trader who acquired the Kelly Estate in 1792. After his death in 1803, his son Robert (who happened to be the first MP for Greenock and was also instrumental in achieving the Penny Post) lavishly extended both the house and the estate. 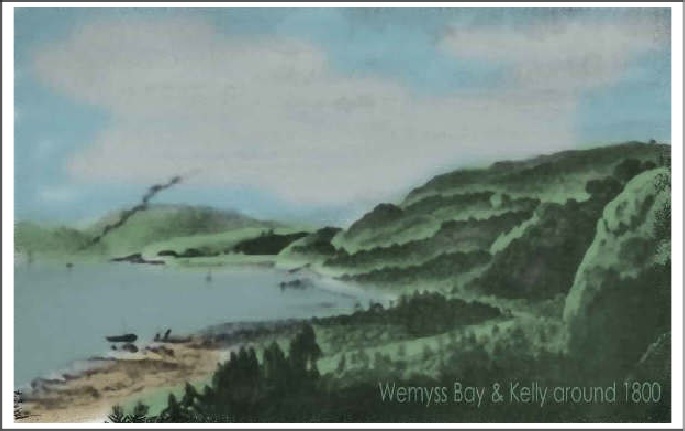 Sadly he went bankrupt and the estate was divided, with Mr. James Scott becoming the new owner of Kelly to the east and Mr. Charles Wilsone Brown becoming the owner of Wemyss Bay, to the west of the main road. Mr. Brown started development work and by 1855 had increased the number of villas from four to thirty six. These villas earned the nickname ‘Little Glasgow’ because they were let to wealthy Glasgow merchants. 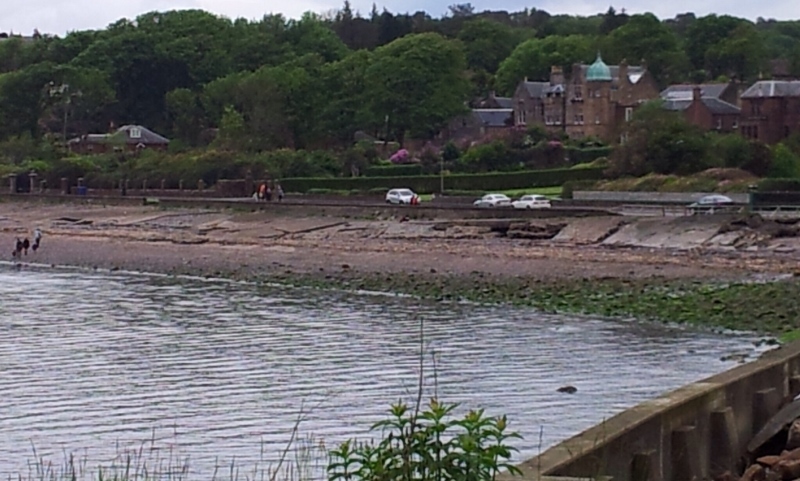 It is no accident that the railway line from Port Glasgow was extended to serve this corner of the Clyde coast in 1865. 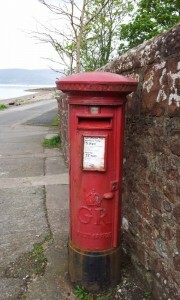 Mr. Charles Brown was also responsible for the building of Castle Wemyss on Wemyss point. In its heyday it boasted a pier, landscaped gardens, conservatories and a tennis court. Many notable guests are known to have been entertained at the castle including General Sherman (Commander in Chief of the United States Army), Haile Selassie, Emperor of Ethiopia, in 1936 and the Royal Family who stayed in 1947 for the review of the fleet. 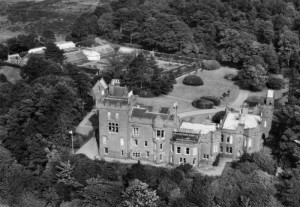 The last owner Lord Inverclyde died in 1957 and the castle was sold for development to a builder. The castle fell into ruins and the land was eventually developed into a housing estate in the late 1990’s. The recently demolished Inverkip Power Station was built on the northern part of the estate grounds. 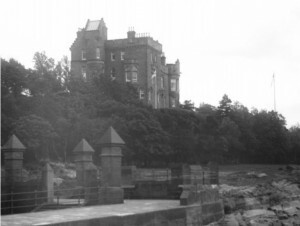 It is reputed that Trollope wrote part of Barchester Towers whilst at Wemyss Bay, and that ‘Portray Castle’ in The Eustace Diamonds was based on Castle Wemyss.Whether this is true or not, Trollope places Portray in a similar geographical location, with a description which is very like that of the castle and its grounds. Trollope did however include the real Castle Wemyss in his travelogue How the ‘Mastiffs’ Went to Iceland, a record of a trip from the Clyde to Iceland in June and July 1878. 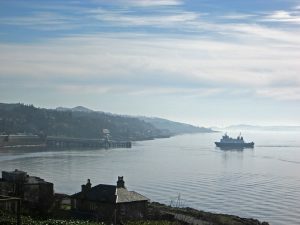 Greenfield legislation meant that whilst much of the larger estate was developed as Wemyss Bay grew in the 1960s and 1970s, the house itself was left untouched. Gradually falling into decay (and subsequently de-roofed to avoid payment of housing rates) it was not until 1984 that it was finally demolished. Meanwhile, Mr. Scott sold Kelly to Dr. James ‘Paraffin’ Young in 1867, who was known to have entertained Dr. Livingstone in his time. 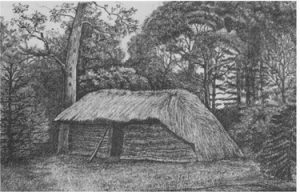 After his death in 1875, Dr. Young built a replica of Livingstone’s African hut in the grounds of Kelly House. The estate was then sold in 1889 to ship builder Alexander Stephen of Linthouse who decided to pull down the mansion and build a new Kelly House which overlooked the pier and station. This was a fine, Gothic style mansion with tall chimneys and turrets and extensive landscaped gardens. Sadly in 1913 the building was destroyed by fire in suspicious circumstances. The cause of the fire was never firmly established but it was thought to have perhaps been the work of Suffragettes, possibly due to the family’s connections with slavery. Nowadays, a holiday park stands on the site and several old photographs of the original Kelly house may be found within the offices of that establishment. The current owners are planning to mark the site of Livingstone’s hut on the banks of the Kelly Burn. Dunavertie on Greenock Road is located just after the railway bridge on the left hand side heading north from the station along the A78. When built originally around the turn of the century, by a wealthy Glasgow engineer, it was known locally as Spite Castle. This was due to the fact that he had wanted to purchase land on Wemyss Bay Road, from Lord Inverclyde, but was refused because his money was too new. He acquired the plot of ground where Dunavertie stands from Kelly Estate and proceeded to build his house. 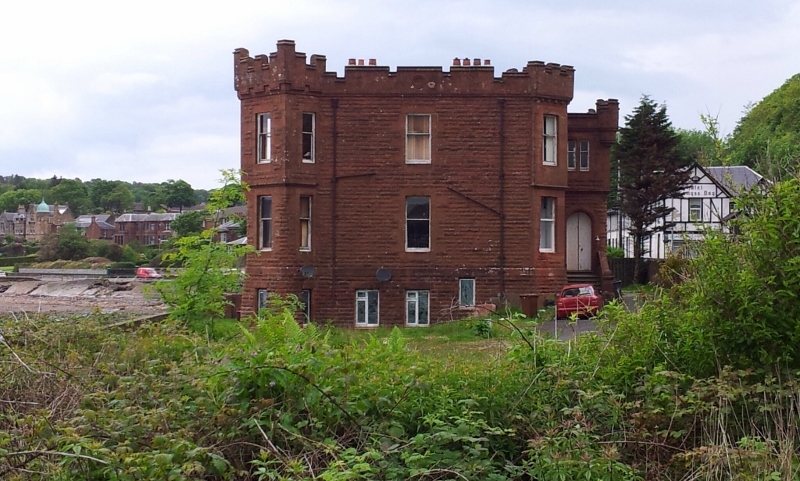 Legend has it that he built Dunavertie as a miniature version of Castle Wemyss so that Lord Inverclyde would have to see it every time he went along the private road in his carriage. It played a big part in the Second World War and was commandeered by M.I.6. to be used as headquarters; the beach was also taken over. 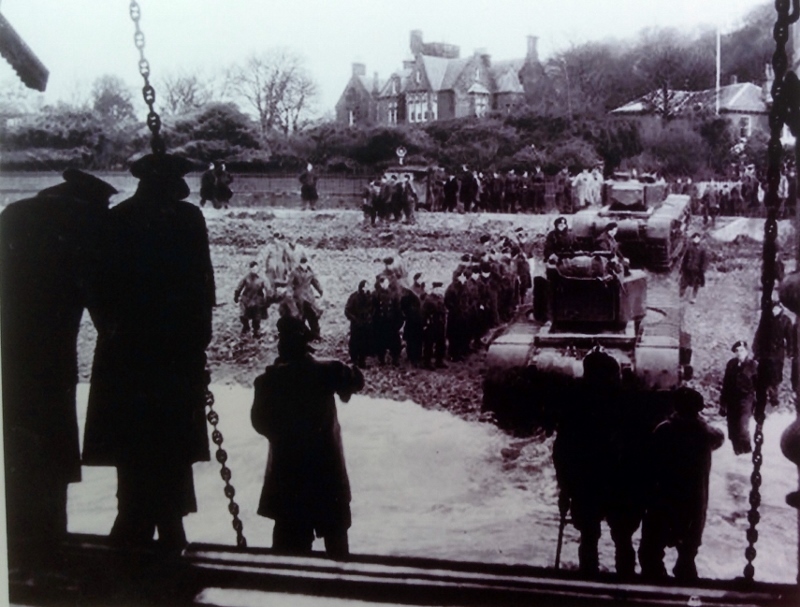 It was used to train commanders with landing craft, for short Sunderland and Catalina flying boats and to practice landings. No-one actually stayed or visited Dunavertie as it was only for top secret naval intelligence work. It is now divided into three flats. The private road was closed with army personnel on guard duty at the gates asking to see all passes. An easy walk may be enjoyed by turning left out of the station, passing under the railway bridge and past the above-mentioned Dunavertie. 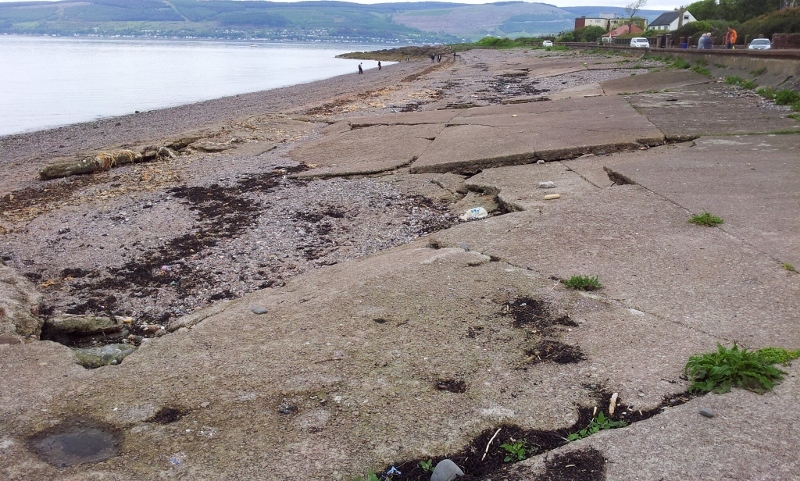 A few modern houses sit along the shore road after that, but the first road on the left takes us towards Wemyss Point where the concrete slabs left over from the War may still be seen on the beach. About half way along this (still un-adopted) road we can take a narrow track away from the shore to reach an upper road known as Cliff Terrace Road, which has several impressive dwellings along it. Turning left on this road will eventually lead us into ancient woodlands, once part of the grounds of Castle Wemyss. Following one of the quite clear paths takes us eventually back onto the road where we can either turn left and walk back along the shore, or right, passing the school, the medical centre and a small cluster of shops (grocer, hairdresser and chemist). Directly beyond that we turn right onto the main A78, back to the station another half mile or so down the road. For those who may have mobility issues the whole distance may be covered by sticking to shore road, turning up the hill at the point where gates prevent all but key holders to a settlement of spacious private dwellings. 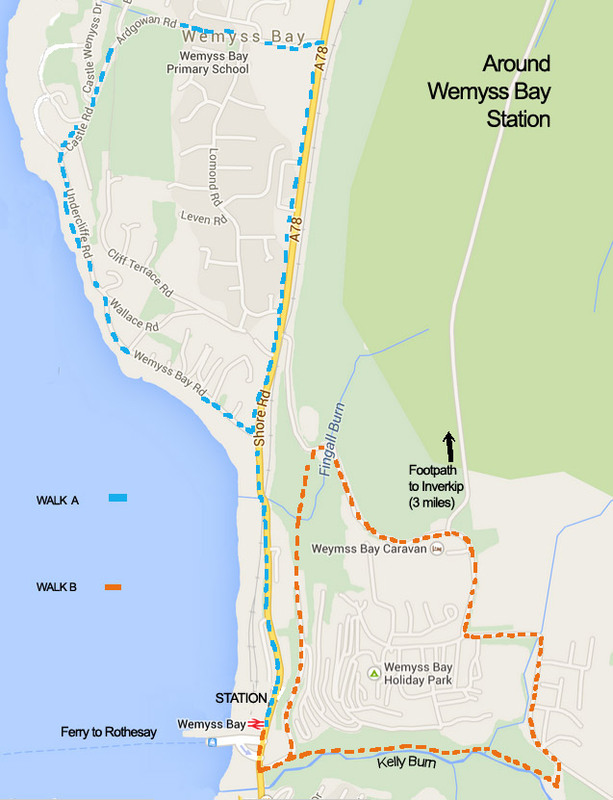 This whole walk is about 2.75 miles in length – about 4.5 km. On the other side of the line a more arduous walk, which starts off along a path beside the Kelly Burn, may be enjoyed by the sure-footed. Turn right out of the station and cross the road, turning left onto the road leading to the holiday park just before the bridge. Take the wooded path straight ahead rather than following the road. The path rises steeply in places for about half a mile, with the fast flowing burn to the right. Two bridges over lesser streams must be negotiated, taking note that after a spate the first of these may well be under water. Near the top of the hill the path divides. 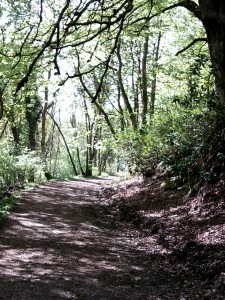 To the right a metal bridge over the burn itself leads to a pleasant woodland walk and eventually to upper Skelmorlie. But our walk turns left, rising further until a tarmac road is reached. Turning right and walking uphill for about another half mile will bring us to the Kelly reservoir, but we take the winding road to the left, past Kelly caravan park on the right which has a pub and a playpark. 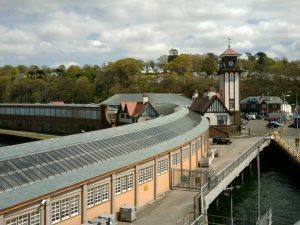 To our left is a wooded area, where Livingstone’s hut was once situated, within the grounds of what is now the Wemyss Bay Holiday Park. Continuing downhill along the road we pass a farm where a gate opposite leads onto the old drove road to Inverkip, now a footpath. Proceeding further downhill on the tarmac road, almost back at the main A78 we turn left through a gate into mature woodland, once part of the Kelly House Estate. 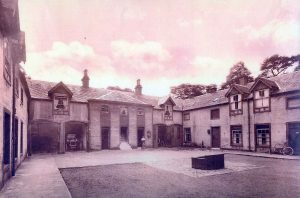 Below is a picture of the Stablehouse at the Fingall Burn. The house served as a coach house for the Kelly Estate. After WWII Alec and Audrey Campbell lived there for a considerable time. Alec passing away in earlier 1980’s but Audrey living there until 2004 according to David Wilson, who sent us this interesting photograph.. Very little remains of this grand old building today, a few cobblestones and the odd tile. From here a woodland track takes us all the way to the lower reaches of the holiday park where we make our way past a number of new holiday chalets down the hill to the main A78 road, pier and station. The whole walk is a little over a mile and a half – about 2km.